Terrible Yellow Eyes: And it was still -- wait a minute! And it was still -- wait a minute! 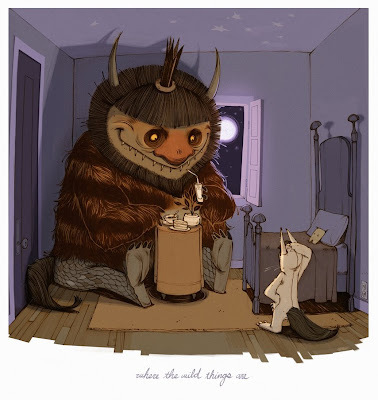 My idea was a simple 'what if'...like what if a wild thing was sitting in Max's room when he arrived from his trip, eating max's hot dinner? Stop by Willie's blog to see more of his killer work. That's all the Terrible for today! Check back next Friday for more Terrible Yellow Eyes!